Go Different, Get Married in Halkidiki ! Have you decided to tie the knot in Greece and still struggling to choose among the numerous alternatives this spectacular country has to offer for your destination wedding? I am sure the first place that comes in mind is Santorini! Of course it’s Santorini, admit it! And, indeed, this island, in the heart of the Aegean Sea, is the most gorgeous setting for your wedding day. Getting married during the most stunning golden sunset, on a cliff terrace overlooking the volcano views is undeniably THE dream! What if I tell you though that there is another hidden treasure in Northern Greece? Halkidiki, with its crystal clear waters and mesmerizing secluded bays could easily be the destination you’ve been looking for. Halkidiki is the place where that distinctive Greek light, unspoiled sceneries, and Mediterranean colors & fragrances meet, creating the absolute destination for your wedding in Greece. It’s the ideal location for those couples who had always been dreaming of having the perfect beach wedding. Either you are planning to hold a big wedding in a beautiful estate by the sea or a small intimate ceremony at a private villa, Halkidiki just has it all! Grand resorts for utter elegance, luxury villas for total privacy, olive-tree estates for the ultimate Mediterranean experience and family-owned hotels for those who are seeking for a cozy yet chic wedding venue. Best part about Halkidiki? It’s really easy to get to! It’s just an hour away from Thessaloniki International Airport (Macedonia) which is connected to the major European cities with direct flights. Go different! 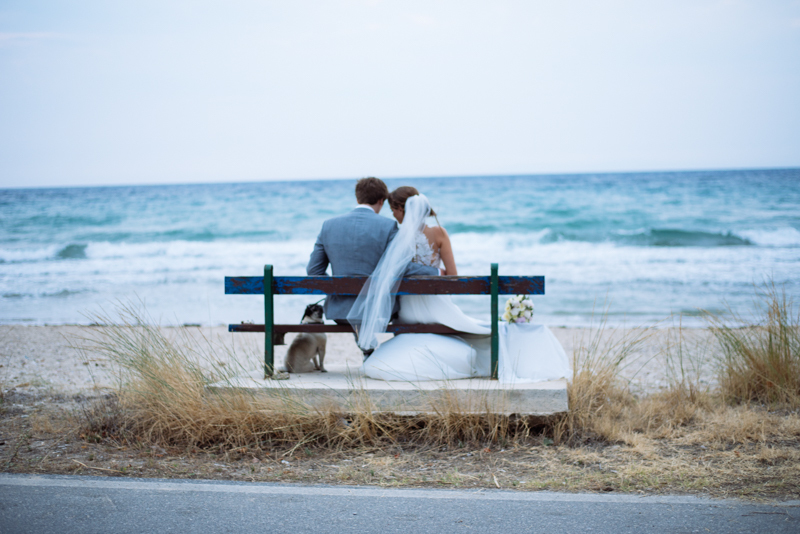 Get married in Halkidiki and you won’t regret it! Our team of destination wedding planners will bring your unique wedding concept into life. Together we will discover the best beachfront venue for your bespoke wedding in Greece!